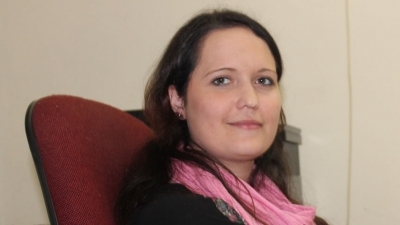 Anneke De Klerk is the first CPUT student to obtain a joint qualification from CPUT and the Wismar University in Germany. Anneke obtained an MTech Business Information Systems qualification from CPUT and a Masters of Business Systems from Wismar University. The course was rolled out in 2011 and focuses on areas such as knowledge management, data management and business informatics. Anneke, along with others enrolled in the course, attended several contact sessions a year in Cape Town, where they focused on the coursework and were also required to present the findings of their research assignments. Anneke also had to submit her thesis to CPUT and Wismar University. Now armed with a qualification that will open doors for her across the globe, Anneke says she is relieved to have completed the course. “It’s about time! Completing the studies felt like it took longer than it should, so I am just very happy I have graduated now,” says Anneke.